Invest 1 hour in silence daily and reclaim the remaining 23! Learn to be a witness of your Life and you will anchor in inner peace! A friend sent me a WhatsApp message to share how much he was benefiting from the practice of ‘mouna’ which I talk about in my Book – ‘Fall Like A Rose Petal’. His message made me want to share my learnings from ‘mouna’ here, on this Blog, one more time. If there’s one practice that you want to develop in Life – learn to be silent for at least an hour daily. This practice is called ‘mouna’. Most forms of meditation require that you silence the environment before you begin to still the mind. But ‘mouna’ does not require the environment to be silent, it requires you, your mind, to be silent. It instils in you the capability to be just a witness of your own Life. Being a witness means not to pass judgment, not to evaluate, not to condemn and not to appreciate. A witness just is. The human mind is always trafficking thoughts. Of all kinds – relevant and irrelevant, both at all times. 24 x 7. Research reveals that the average mind thinks 60,000 thoughts a day – and all of them are soaked in worry, anxiety, fear, anger, grief, guilt and, rarely, some of them are happy and peaceful thoughts too. ‘mouna’ helps in organizing this traffic and ensures that through your inner awareness, you detach yourself from your situation and simply be a witness of your Life. Let me share a story that I have read in one of the books that Osho, the Master, wrote. One morning Gautam Buddha was talking to his disciples. The king, Prasenjita, had also come to listen to him. He was sitting right in front of the Buddha. Prasenjita was not accustomed to sitting on the floor – he was a king, you see – so he was feeling uncomfortable, fidgety, changing sides, somehow trying not to disturb and not to be noticed by the Buddha because he was concerned that he was unable to sit silently, peacefully. He was continuously moving the big toe of his foot, for no reason, just to be busy without business. Some people are like that – they cannot be without business; they will still be busy! In fact, Prasenjita himself was not aware of it. Sometimes, you – and I – are doing a thousand and one things that we are not aware of. Unless somebody points them out, you may not take any note of it. This is really what ‘mouna’, and your being a witness, can help you with. It can help you realize that you too can be ‘aware’ – and so you too can stop doing many things that you go on doing, just like that. Worrying incessantly is one of those things that we all do – many a time without knowing that we are worrying. When you learn to still the mind and organize your thoughts, you learn to weed out worry. When you step outside the orbit of your worldly Life and assume the role of a witness, you will see the futility in squandering your precious lifetime thinking debilitating thoughts. When the witness in you becomes active, the mind becomes slowly powerless. Through your continuous practice of ‘mouna’, you eventually learn to fully still your mind, making it totally inactive. It is in that 100 % witness state that you discover the secret to living happily and being at peace with what is! Now, practicing ‘mouna’ takes up an investment of one hour daily. Won’t you rather invest one hour to reclaim the remaining 23, which you would otherwise fritter away? Doesn’t that sound like an impressive, irresistible, unputdownable ROI on your time? Author AVIS ViswanathanPosted on November 16, 2016 November 16, 2016 Categories Inner Peace, Life, Mouna, Shubha Mouna Yoga, Silence, Silence Periods, Sphere of Silence, The Power of Silence, UncategorizedTags Anger, Anxiety, Art of Living, AVIS Viswanathan, Buddha, Fall Like A Rose Petal, Fear, Gautama Buddha, Grief, Guilty, Inner Peace, Intelligent Living, Meditation, Mouna, Non-worrying, Postpone Worrying, Prasenjita, Silence, Silence Periods, Vaani, WhatsApp, Witness, WorryLeave a comment on Invest 1 hour in silence daily and reclaim the remaining 23! To be unfrustrated when you don’t get the results you want is a skill that you can teach yourself. I feel people unnecessarily complicate Life by imagining that they should be free from problems, challenges or crises. To be sure, Life never promised anyone a hassle-free ride. In fact, Life makes no promises. We humans bring our expectations to the party and then we invite suffering into our Life when those expectations are not met. When Life makes no promises, and when you expect something out of Life, and that expectation is not fulfilled, and you suffer, who is to blame? Of course, you have only yourself to blame. So, simply, drop all expectations and Life will be a lot easier to deal with. I meditated, during my daily mouna (silence periods) sessions, on this learning for weeks on end some years ago. And over time I cultivated the ability to stay detached from the outcomes of my efforts. Vaani helped me through this process. This is how both of us have been able to deal with our Life with great equanimity. To be unfrustrated is a skill that can be learnt with practice. It requires training your mind to engage with only the present moment, with only the efforts. Simply, when there is integrity of Purpose, when there is relentless, unsparing effort, when you trust the process of Life, then you can never be frustrated with the outcomes! Why “Kurai Onrum Illai” is an awesome way to greet Life! Scarcity thinking, focusing on what isn’t, invites suffering that holds you hostage; abundance thinking sets you free! At a conversation organized by the Indian Prostrate Cancer Foundation, Raja Krishnamoorthy, the moderator, asked us to reflect on the value of abundance thinking. He said a good state to be in, in Life, is where you can wake up and say “Kurai Onrum Illai” – no grievances or complaints whatsoever! I have a friend, who’s in his late 70s now, who uses this line as a response to the “How are you?” greeting! How beautiful, I thought,…if you can truly respond every time you are asked “How are you?”…saying you have no issues, no complaints with Life…“Kurai Onrum Illai”! Honestly speaking, I could never get to this state until I learnt to rein in my mind. It wasn’t until I learned to practice daily silence periods – mouna – that I could see the abundance in my Life. To be sure, the human mind thinks 60,000 thoughts daily. And, if the mind is untrained, it is pulling you in different directions – often illogically, randomly. From grief to anger to guilt to fear to insecurity to worry to anxiety the mind seesaws between the past and the future. By nature, the mind thrives only in the past or the future. In the present, as Osho, the Master, points out, there is no mind. There’s just you, the real you, immersed, in the now, in whatever is, in whatever is happening! So, the secret to celebrate Life, to soak in the abundance that you have, is this: you must bring your mind to attend only to the present moment. Like the physical body resists training in a gym, the mind will resist your attempts to train it. But the beauty is that just as you can train your body, you can train your mind too. So, over time, I taught myself the art of mouna, remaining silent (irrespective of the environment or circumstance I am placed in) for an hour daily. I can now drop anchor wherever I am – in a busy traffic signal, at an airport, in a courtroom or a boring business meeting and even when every shred of material security is absent. And, miraculously, when I am anchored, I see only abundance in and around me. So, I can totally relate to Raja’s call to reflect there and to my senior friend’s greeting: “Kurai Onrum Illai”! Actually, this approach to Life is neither philosophical nor is it metaphorical. It is a very real, very sensible way to look at your Life. Life operates on this principle of compassion towards all that it creates. So, the truth is, all of us, at any time, have everything that we need. It is only our desire that our Life should be different from what it is that makes us suffer. So, simply, we cause our own suffering. Now, my Life, for instance, is ridden with debt, and has been, for almost a decade now, despite our best efforts, often about struggling to meet and cover living expenses. There’s denial of work, rejection, public judgment (for our inability to repay our debt) and there’s so much pain caused by the legal and social course that a bankruptcy takes you through. So, if I look at what isn’t, if I allow myself to be steeped in scarcity thinking, I will end up being a nervous wreck – depressed and worthless. So will Vaani. Which is why, we decided to look at each other, our companionship, and our two children – who have grown up to be fine, well-anchored, young adults despite this time of intense strife for our family – and celebrate this blessing that we have – of each other’s presence! We reasoned that even if we have no money, we have the choice to be happy for just being alive and together. We also have the blessing of so many, many, many friends and some family members who love us unconditionally and continue to stand by us and support us – no matter what we are going through and however long it is taking! So, we see the need to be eternally grateful to Life. Just counting our blessings makes us deliriously happy! And we go about spreading awareness of this opportunity called happiness, that’s freely available 24×7, around us. We wake up every morning saying a big thank you to Life, and flow with Life as it flows that day. There’s no ‘like’ button or ‘dislike’ button in our Life anymore. There’s just a ‘be’ button. So, we just are. Therefore, we know, “Kurai Onrum Illai” is a great way to greet Life and to live it fully – despite your circumstances! PS: “Kurai Onrum Illai” is a famous song composed by C.Rajagopalachari and rendered by M.S.Subbulakshmi. PS: Prostrate Cancer is curable and a simple blood test to review your PSA levels is all that you need to do for early action! Author AVIS ViswanathanPosted on September 27, 2016 Categories Abundance, Acceptance, Bankruptcy, Celebrate Life, Happiness, Harvest Abundance, Mouna, Scarcity, Shubha Mouna Yoga, Silence, Silence Periods, UncategorizedTags Abundance, Acceptance, Anger, Art of Living, AVIS Viswanathan, Bankruptcy, Bhagavad Gita, Buddha, Compassion, Depression, Detachment, Faith, Fall Like A Rose Petal, Fear, Grief, Guilt, Happiness, Happiness Curator, Higher Energy, Inner Peace, Intelligent Living, Let Go, Life, Life Coach, Living Fully, Living in the Now, Living in the Present, Mindfulness, Mouna, Move On, Osho, Pain, Patience, Spirituality, Suffering, Unhappiness, Vaani, Worry, Zen2 Comments on Why “Kurai Onrum Illai” is an awesome way to greet Life! Dealing with depression requires a deeper understanding of what’s making you angry and unhappy. The moment you understand what is disturbing you, you can either let it go or fix it. 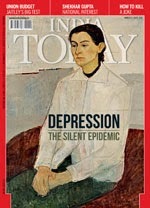 A recent issue of India Today ran a cover story on depression. The statistics are alarming. One in every four women, and one in every 10 men, in India is depressed. That’s about 120 million people – enough to fill a state the size of Maharashtra! From death to divorce to health to stagnating careers, these people are battling unmet expectations and struggling to cope with the psychological impact of their challenged state of mind. I know what it means and feels like to be depressed. About 10 years ago, I was depressed too – except that I didn’t even know I was depressed! I had gone to meet a renowned psychiatrist Dr.Vijay Nagaswami; I was reporting irrational bouts of anger. Dr.Nagaswami heard me out for an hour and told me that I was depressed. He said I had two ways in front of me to deal with my depression – medication or meditation. And he staunchly advocated the latter. Thanks to Dr.Nagaswami, for me, meditation worked. I learnt to practice silence periods daily – a method called shubha mouna yoga. It required me to be silent for an hour each morning. That investment of an hour up front in the day helped me gain control over the remaining 23 hours! As my practice of mouna deepened, over time, I began to go to the root of my anger and my depression. Through that process, I understood myself and Life better. Let me share my learnings here. You become depressed because something you expect has not happened. You wanted someone to love you, but she is not interested. You become depressed. You wanted a raise but it’s not happening. Again, you are depressed. The only person who understood you in the whole world is dead. You are depressed. You are accused of something you did not do. Depressed! You have a health situation that has crippled your functioning. You are depressed, to the point of losing interest in Life! So, in effect, whenever an expectation goes unmet, you are depressed. Now, depression can manifest itself in two ways. As anger. As it happened to me. But that anger is not always there. A certain listlessness, a self-pity governs your daily Life. When someone or something interferes with it, you explode with anger. The other way depression happens is with sadness. Sadness is nothing but dormant, passive anger. You conclude you are helpless and lonely and that no one understands you. You brood all the time and keep pitying yourself. Now, in either context – anger or sadness – the mind is not allowing you the opportunity to understand the futility of your being depressed. Which is why meditation – which helps you still your mind – is very useful in understanding what’s going on and choosing an intelligent response, and not a depressive one, to the situation. Let us say you are angry, hurt, upset – and are therefore depressed – with the way someone has treated you. You can sulk for as long as you want, but that person is never going to realize that she or he has done something wrong, until you walk up and speak your mind. When you do this, that person can either accept your point of view or reject it. Now, you can never control another person’s attitudes or actions. You can only do what you can. When you realize that you have done the best you can, you learn to let go and move on. Now, you are not depressed anymore – because you are not suppressing your anger against that person nor are you sad that you have been treated shabbily. Sometimes not knowing what to do is a good thing. Just surrender to Life and do nothing. Some years ago, everything that I had created and had tried to protect was taken away from me through our bankruptcy – my business, the trademarks we owned, the assets we had built up, the team I led, the client we had, the cars we drove…Everything that conceivably had a monetary, material value was gone! And we had no money. No work. No clients. Irate creditors were hounding me asking for their money back. I had tried for weeks on end to raise cash. But in vain. Nobody wanted to trust our business or plans anymore. Our balance sheet and bank statements had no value in the financial market. A banker I met on a Friday was brutally frank. He told me in as many words: “Sir, your balance sheet and bank statements are not even worth as much as toilet paper is. I am sorry we can’t consider your application for a loan from us.” I remember coming out of that meeting devastated, beaten, broke. Just as stepped out the bank, my phone rang. It was Philip Sir, my good friend from Kerala who is 20 years older to me. He said he was in town. And wanted to meet me. We agreed to meet at the Woodlands Drive In restaurant which was still around then. When we met later that evening, Philip Sir, who had some background to my Life’s challenges, asked for an update. I filled him in. That conversation with Philip Sir did not make much sense to me immediately. But that Sunday, when I was in my ‘mouna’ (daily silence period) session, I read a passage by Osho, the Master. 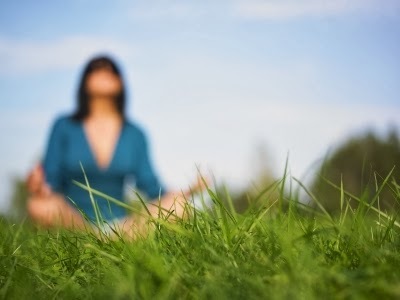 Osho talked about the philosophy that Rinzai, the Zen mystic, taught the world with his famous saying: “Sitting silently, doing nothing, and the grass grows by itself.” What I understood that day was that we humans have this phenomenal urge to keep on doing something or the other. The whole endeavor appears to be to control Life. To treat it like our hand maiden. We strive to ensure that “only” the outcomes we desire happen for us. Now that never really happens all the time. So we get angry, frustrated, depressed and cynical about Life when things don’t go our way. That, as I have come to realize, is an immature response to Life. The truth is, Life was always in control. You – and I – were never controlling anything. You were only imagining that you were in the driver’s seat. When the chips are down, when whatever you do doesn’t seem to work for you, when you are clueless about what’s next in your Life, when you don’t know what you must do, simply surrender. When you do this of your own accord, through a deep acceptance of your current reality and your inability to find ways to resolve it, an awakening will happen within you. That awakening will help you understand the larger cosmic design. My awakening, in a way, happened over the weekend following that coffee conversation with Philip Sir at Woodlands Drive In. But it took several months of “mouna”, of reflecting upon Rinzai’s saying to actually see the “grass growing by itself”. I discovered that I had been rushing through Life – missing the whole aspect of living, while wanting to be rich, famous and successful. My personal cashless situation, compounded by my cluelessness and helplessness, forced me to reflect on Life. I have learned, through my experience, that more than material wealth, inner peace makes one richer. And that peace comes from soaking in the silence that engulfs you, from doing nothing – especially when you don’t know what to do – and letting Life take over! You can only be happy in the present. Or to say it differently, you can only be happy if you are present! A friend called yesterday to say that his world is falling apart. His business is doing badly and his marriage is on the rocks. “I am very, very unhappy! I hate being this way. But my worries and anxieties are pinning me down,” he lamented. Surely nobody loves being unhappy! I can totally empathize with my friend. But only he, neither his business doing better nor his marriage being saved, can pull him out of the rut he finds himself in. It is the nature of worries and anxieties to debilitate. If they are holding you hostage, it only means that you have allowed them to be that way. The human mind plays tricks on you all the time. It consistently strives to take you away from what is and gets you to attend to what once was or what may possibly be. So, most of the time, you are not present in the now. And happiness is always in simply being – present, in the now! When you impose conditions on what is, unhappiness sets in. There was a time when I did not know, or understand when I eventually got to know, this secret to living. I remember waking up in my air-conditioned bedroom in the nights, some years ago, sweating. Sleep evaded me for months on end. I would pace up and down a long hallway in my apartment each night – worrying, fearing, feeling angry, guilty, helpless. I knew what I was doing was stupid. It was crazy. But I just could not sleep. I could not focus on the present. Once I went to a live concert of R.D.Burman hits (performed by a fantastic national-level orchestra). The hall was full. And the audience was hysterical. About an hour into the concert, I suddenly realized I had not even known which songs had played until then. I was there physically, I was hearing everything, I was watching everyone clap, shout, whistle and sway to the legend’s unputdownable music, but I was not “in” the concert. I was not present there. What finally woke me up from my worry-filled reverie, was one of my favorite R.D. numbers from the film Golmaal (1979, Hrishikesh Mukherjee, Gulzar, Kishore Kumar). The song went like this: “Aane Wala Pal Jaane Wala Hai, Hosake To Isme Zindagi Guzaar Lo, Pal Yeh Jo Jaane Wala Hai…” The lyrics meant a lot to me that day: “The moment which is coming will go away, if you want to, live in this moment, for it will be gone soon too…” Not that I had not heard that song before. But that evening, that song stirred something within me. As they often say, things happen in Life, when they must – never a moment earlier or later. 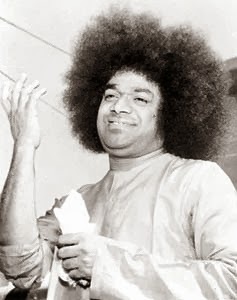 The next time my inner consciousness was stirred was through an experience I had with Swami Sathya Sai Baba (whose birthday it is today), which happened within a week of the R.D. concert. I confessed to Swami that I was very worried and anxious about the future. I told him I saw no way out of the problems that we were faced with as a family. I said, I simply cannot go on like this. Swami asked me what would it take for me to be happy. I replied that if someone could assure me that my problems would be taken care of, I would be happy. Swami then told me that I would never be happy if I thought this way. “To imagine, to desire, to wish that you will not or you should not have any problems is the biggest problem. As long as you have this problem, you will be unhappy. Being happy means simply being – no conditions can apply!” explained Swami. That conversation with Swami changed my entire approach to Life. I soon found a wonderful method called ‘shubha mouna yoga’, which is to essentially practise silence periods daily, that helped me discipline my mind. The human mind, I discovered, is like a dog. If you don’t train it, if you don’t discipline it, it will lead you. But if you coach it and teach it to “stay still”, and to obey you, it will never stray. Swami’s inspiration and his awakening message to me, and my practise of mouna, has taught me to be happy despite the circumstances I am faced with in Life. We have to learn to accept that Life will have problems. And our entire lifetime has to be spent dealing with these problems. Now, we can grieve over the fact that we have problems, and wish, in vain, that we have none, and so be perpetually unhappy. Or we can expunge such an expectation and be happy – in the here and now!